VA has created a program called the VA Streamline Refinance / Interest Rate Reduction Refinance Loan. This program, also known as the VA IRRRL for short provides a way for qualified homeowners to lower their interest rate with little or no out-of-pocket costs. The IRRRL refinance loan can be “streamlined” with less documentation than a typical loan. 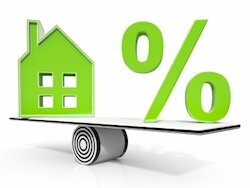 An Interest Rate Reduction Refinance Loan (IRRRL) allows approved homeowners to refinance their current mortgage to a lower interest rate. This program is only available to veterans who are refinancing their original VA mortgage that utilized their original eligibility. IRRRL refinance can be done with “zero out of pocket money” by including all costs in the new loan or by making the new loan at an interest rate high enough to enable the lender to pay the costs. Loan assumptions are not permitted. The homeowner cannot receive any cash back. This program does not require an appraisal, income or employment documentation. No credit report and no termite report. Mortgage payments must have been paid on time for the last twelve (12) months and must be up to date at the time of refinancing. Any other liens must be subordinated to the VA loan. Life is full of surprises and sometimes you may need additional cash quick. Perhaps you need to pay school tuition or make needed home improvements that will increase the value of your property. Or perhaps you just want to take advantage of lower interest rates so you can keep more of your hard earned money in your own pocket. It may be the time to consider the many options available for refinancing your VA loan. Whether you need money to consolidate high high-interest card debt, pay for school tuition or make home improvements, we can provide all the necessary information to get you the cash you need through a refinance. 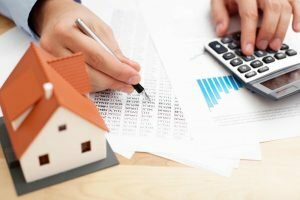 A VA refinance transaction involves repayment of your current real estate debt from the proceeds of your new VA mortgage that has the same borrower(s) using the same property. Cash out refinances must be used only for a primary residence. The homeowner can refinance for up to 100% of the appraised value (LTV) plus all closing costs. Very few lenders allow this 100% cash out refinance as most limit to 90%. Contact us today to start your cash out refinance application. There is no minimum amount of time that you must own your home, but your home must have sufficient equity to qualify for the loan. *Note: 100% cash out not available in Texas. The VA Funding Fee is paid directly to the Department of Veterans Affairs and this is the reason they can “guarantee” this 100% mortgage. This VA funding fee is paid so eligible active military and veterans can take advantage of 100% financing with no monthly mortgage insurance (PMI) costs. Below we have outlined the latest VA funding fee chart. NOTE: Veterans who qualify as 10% disabled or greater as a result of active military service are not required to pay a funding fee. Those who are not exempt from a funding fee may lower their fee by putting money down on their VA home purchase. For all VA home loans, the funding fee may be paid in cash or it may be rolled into the loan. Please call us with questions 7 days a week at Ph: 800-691-8826. You can also expedite your request more quickly by submitting the short information request form on this page. We typically respond to all submitted request forms within 10 min during normal business hours. See why VA Mortgage Hub is the nation’s most trusted VA loan resource for military families. We are always available to answer all of your questions about qualifying requirements Monday – Sunday.